Whether you're a working parent, have a long commute to and from the office, or just don't have time to get dinner on the table or prepare lunches for the week, make-ahead meals are a saving grace. All of these tasty dishes can be made up to several weeks in advance, then hang out in your freezer or refrigerator until you're ready to eat. Make sure to follow defrosting and reheating instructions, for best results. Dinner-worthy sandwiches like these chicken gyros are great make-ahead meals that you can prep on a Sunday and enjoy that evening or as packed lunches all week long. Allow at least 30 minutes for the meat to marinate before tossing it on the grill. 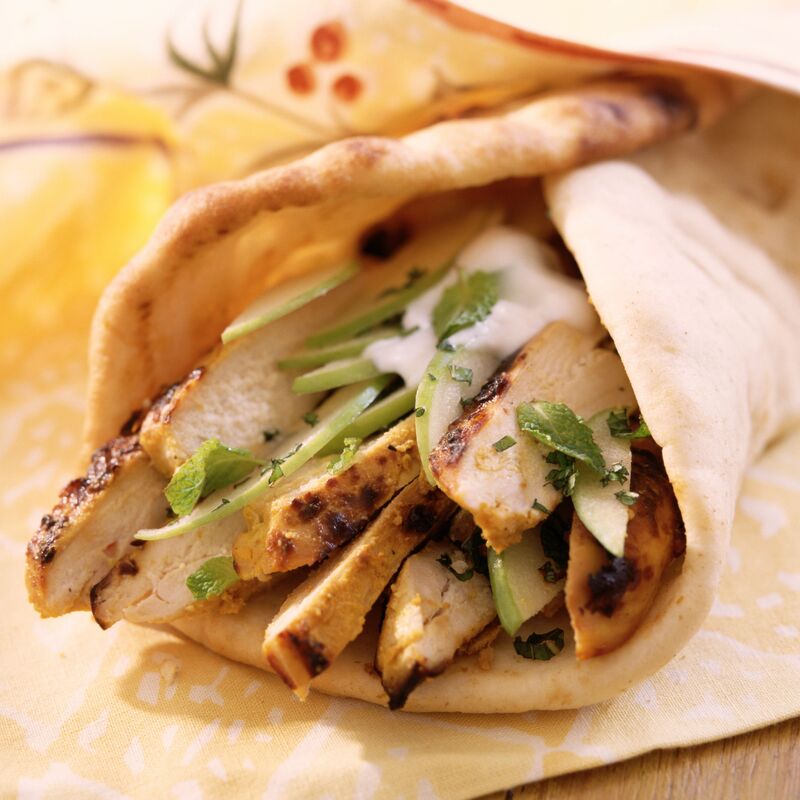 Serve the chicken and vegetable toppings folded into a pita for a traditional gyro, nestled in a tortilla as a wrap, or over fresh greens for a salad. If you have leftover pork to finish, this simple and delicious noodle casserole will use it up in a more interesting way than simply reheating last night's meal. Diced or cubed pork, frozen peas, egg noodles, and cream of mushroom soup all come together for a creamy, down-home dish. Prepare it a day ahead and cover it with foil before refrigerating. Allow it to come to room temperature before baking. This hearty one-dish meal will feed a crowd without creating a horde of dishes. With ground beef, beans, and macaroni, it works well as an entire supper in a single skillet. If you're making it ahead of time to eat later, stop before sprinkling the cheese over the top. Store it in the fridge covered overnight. Take it out 20 minutes before baking, so it has time to come to room temperature. Traditional shrimp creole can take some time to put together, but you can cook this one in minutes and then pour it into a casserole for freezing. Line the entire dish with foil, so you can lift the packet out once it's frozen solid. Then you don't have to leave a casserole dish out of commission. When you're ready to bake it, just slip that foil packet back in the same casserole. Serve with rice or noodles. Mexican night doesn't have to mean a lot of slicing and dicing. Make these zesty chicken enchiladas with green sauce ahead of time, then let the casserole cool completely before sticking it in the freezer. Wrap it tightly and let it thaw completely before warming in the oven, covered with foil. Serve with extra sauce on the side, for drizzling or dipping. This easy and delicious all-in-one meatball stew uses some convenience foods you can find at your grocery store, to make preparation even easier. Combine frozen, fully-cooked meatballs, canned cream-of-mushroom soup, refrigerated mashed potatoes, and frozen veggies for a hearty, healthy meal. If you are freezing this for later, you don't even need to defrost the ingredients first. Enjoy the flavor of fan-favorite stuffed peppers in half the time with this one-dish "unstuffed" pepper casserole. Make it ahead and let it cool before freezing, tightly wrapped and labeled so you know how long it's been in the freezer. Let it come to room temperature and reheat with extra cheese sprinkled on top for a nice, bubbly top. 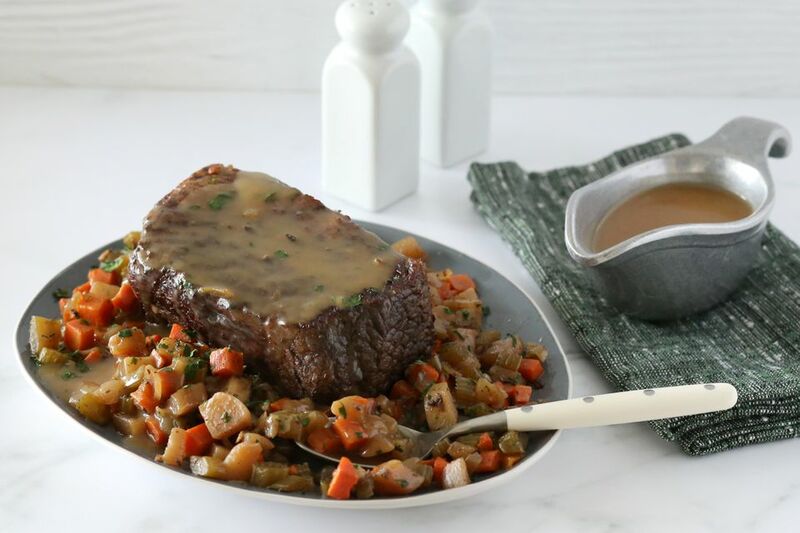 Cooking a chuck or bottom round roast in a slow cooker renders it fork-tender without much work so it's the perfect make-ahead meal. Searing the meat adds so much flavor that it is worth the extra 10 minutes. Switch up the vegetables to suit your family's tastes, and make it a whole meal by tossing whole sweet right in with the roast. Slice, wrap twice and keep frozen for future meals. Make-ahead meals aren't just for dinner! You can sleep in with this simple breakfast sausage and egg bake. Smoked chicken, andouille, or breakfast sausage all work well in this egg casserole. Just wrap tightly and either refrigerate or freeze after it’s assembled. Let it thaw completely before baking until it's browned around the edges. Tangy mustard chicken and pasta is a flavorful, versatile one-dish casserole that makes use of many ingredients you likely have in your pantry already. While it uses gemelli pasta, any tubular or spiral-shaped pasta also works well, and you can use homemade cheese or Alfredo sauce instead of the jarred type, if you prefer. To make it for the freezer, assemble the casserole but don't bake it. Wrap it tightly, then freeze for up to three months. Thaw it completely in the fridge overnight before baking. Make-ahead casseroles are great for brunch because you can assemble them the night before, then pop them in the oven to save time in the morning. This filling hash brown-based dish becomes a complete meal with the addition of bacon or sausage, and a salad, but it can also be a delightful side for a potluck or church supper. To save it for even longer, bake it off then freeze, and reheat when you're ready to eat. French toast doesn't have to mean slaving over a hot griddle. Bananas foster gets the breakfast treatment in this decadent, holiday-worthy make-ahead French toast casserole. Use rich, eggy Challah or another fluffy bread for the best texture. Letting it sit in the fridge overnight gives the egg mixture time to really saturate the bread—key for that soft, custardy French toast we all love. While it does take some time to create this elegant duck terrine, the final result is well worth the work. It calls for marinating the duck overnight, but it'll be fine if it just sits for a few hours. Cook it the day before, then serve chilled. The extra time helps the flavors mellow and meld, which is really worth the wait. It also freezes well, if you want to make it a project for a future event. Some dishes taste even better the next day, and this chicken and chorizo with rice is one of them. Juicy chicken thighs get a little extra zip from chorizo sausage, but you can use a milder sausage if you're not a spice fan. Use frozen or canned artichoke hearts, but defrost them first if you use the frozen kind. Roasted peppers or other veggies would also complement this dish well. Weekday breakfasts don't have to be cold cereal with these freezer-ready breakfast burritos. With spicy peppers, protein-packed eggs, and shredded cheese, they'll get your day off to the right start. A little crumbled bacon would be a great addition, too. Prepare a double, triple, or even quadruple batch and freeze them individually wrapped, for a simple grab-and-go meal. Just because you're avoiding dairy doesn't mean you have to give up lasagna. This vegan, dairy-free, and egg-free recipe tastes just as luscious as the original, but it doesn't have any real milk products in it. If making ahead, finish through step 3, then wrap and freeze for up to a month. Let it defrost in the fridge overnight then come to room temperature before baking, for best results.